The bigeye thresher is a species of the thresher shark family, which is found in temperate and tropical oceans all over the world. Richard Thomas Lowe, a British biologist, was the first person to scientifically describe the bigeye thresher and his findings were published in the the 1840’s in 2 prestigious journals. 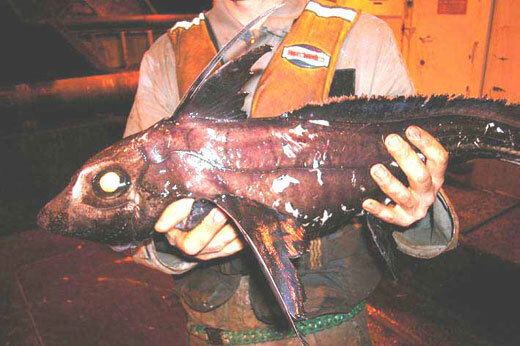 His description was based from a specimen caught off Madeira, which is an island in the Atlantic Ocean. Despite this, his description was overlooked by researchers and known by different names until the 1940’s when specimens were found in Florida and Cuba which prompted its original name that Lowe gave to be resurrected. The closest relative of the bigeye thresher is the pelagic thresher. This was found via an allozyme analysis by Blaise Etner. Fossil remains have been found in the Hokuriku region of Japan, dating back to the Middle Miocene. They can be found in the Atlantic Ocean, Mediterranean Sea, Indian Ocean, and Pacific Oceans. However, a mitochondrial DNA analysis showed that the Atlantic and Indo-Pacific bigeye thresher populations are actually somewhat genetically divergent from one another. Like other thresher sharks, it is known for its elongated upper lobe of the tail fin, which can be as long as its actual body! As you can imagine, the difference between this shark and other sharks is that is has huge eyes. The eyes are rather imposing as they are placed in keyhole shaped eye sockets, which allow the eyes to be rotated upwards. Other than this, it is distinguishable because it has a pair of deep grooves on the top of its head. These big eyes are adapted for hunting in conditions with low lighting. It is one of a few sharks that have diel vertical migration, which means that during the day time, they move about in the deep water, and at night time, they move to shallow water in order to feed. It has sensitive brains and eyes, so it protects them via the rete mirabele which is a vascular exchange system present around their brain and eyes. They feed mostly on squid and fish. These animals are preyed upon by the bigeye thresher by stunning them with their long tail by whip-like strikes. 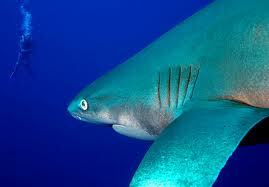 However, they do eat a wider variety of foods compared to other threshers. The food items it is known to eat include herring, mackerel, whiting, hake, lancetfish, billfish, crab megalopae, lycoteuthids, squid, and ommastrephids. In the Mediterranean Sea, they are strongly associated with frigate mackerel schools. This suggests that they follow their prey from place to place. 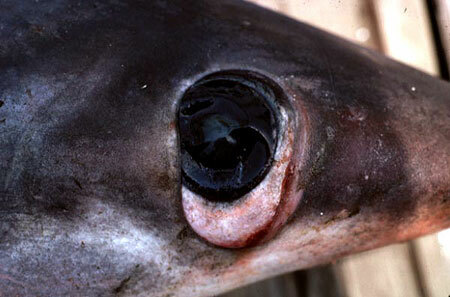 The bigeye thresher shark is rarely encountered by scuba divers and thus poses no danger to human beings. We know about the bigeye thresher as they have been accidentally caught by longline fisheries in numerous countries such as the USA, Spain, Japan, Mexico, Uruguay, and Brazil. This makes up for 10% of the pelagic shark catch. 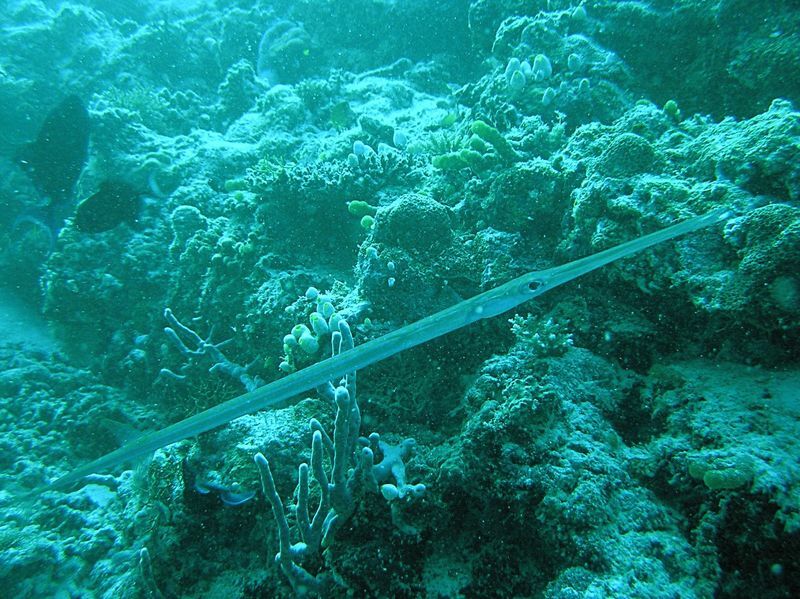 Off the waters of Cuba, 20% of the longline catch is caught here as the shark is attracted to chemical lights called cyalume sticks. Taiwanese fisheries fish 220 metric tons a year. Its meat is marketed in smoked, dried, salted, and fresh form. However, its flesh is not well regarded as it has a mushy texture. Its skin is used to make leather products, and its liver oil is used for vitamins. 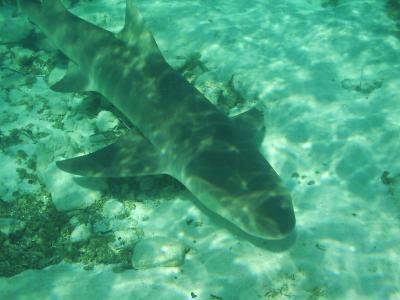 Its fins are used for shark fin soup. In many countries in the world such as New Zealand, South Africa, and the USA, the bigeye thresher is sought over as a game fish. It is even listed as one by the International Game Fish Association. It is easily susceptible to over-exploitation. It was categorized in 2007 as being a vulnerable species by the IUCN.